Five large corporations have launched an effort to boost demand for carbon credits from "high quality" Reducing Emissions from Deforestation and Degradation (REDD+) projects in tropical countries. Insurance giant Allianz, French retail conglomerate PPR, energy companies Eneco and Entega, and South African bank Nedbank have pledged to buy millions of dollars in emissions reductions credits generated by REDD+ projects that have been certified under both the Verified Carbon Standard (VCS) and the Climate Community and Biodiversity Standard (CCB). Forest carbon credit providers include BioCarbon Pty Ltd. (Ecuador), ERA (Democratic Republic of Congo), Forest Carbon Offsets (Belize), The Surui Project (Brazil), Wildlife Alliance (Cambodia), Wildlife Conservation Society (Madagascar), and Wildlife Works (Kenya). The initiative, dubbed Code REDD, requires carbon project developers to sign a code of ethics as well as achieve certification under VCS and CCB. By publicly announcing the intent to purchase a large number of credits, Code REDD aims to push other companies to voluntarily commit to offset some of their CO2 emissions with forest carbon credits while steering them away from dodgy REDD+ projects. "Reducing your carbon footprint is not a UN obligation," said Mike Korchinsky, Founder of the Code REDD Campaign and CEO of Wildlife Works, a REDD+ project developer. "It’s a global responsibility." 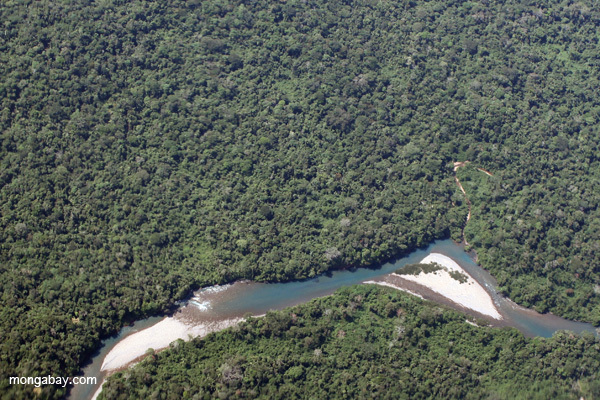 REDD+ aims to reduce greenhouse gas emissions by protecting tropical forests. Deforestation and forest degradation account for more than 10 percent of global emissions from human activities. While the concept of reducing deforestation is widely supported, the details of REDD+ remain contentious, including concerns about shady land dealings, subsidies for logging, corruption, social conflict, finance sources, and the very premise of carbon offsets, among others. Code REDD is attempting to avoid some of the controversies by promoting voluntary (non-compliance) credits linked to basic social and environmental safeguards.